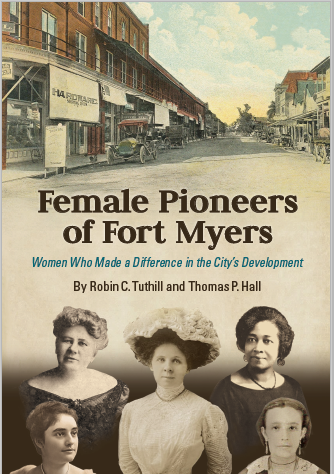 Our newest title, Female Pioneers of Fort Myers: Women Who Made a Difference in the City’s Development, offers a fresh and insightful look at key women ‘movers and shakers’ who over time made Fort Myers the city it is today. Illustrated with images throughout, this fascinating book gives a snapshot view with exciting details and history. Authors Robin Tuthill and Tom Hall are congratulated for bringing to these stories of courage and tenacity from the past to readers today. This book is also available on Kindle for those readers who prefer ebooks.